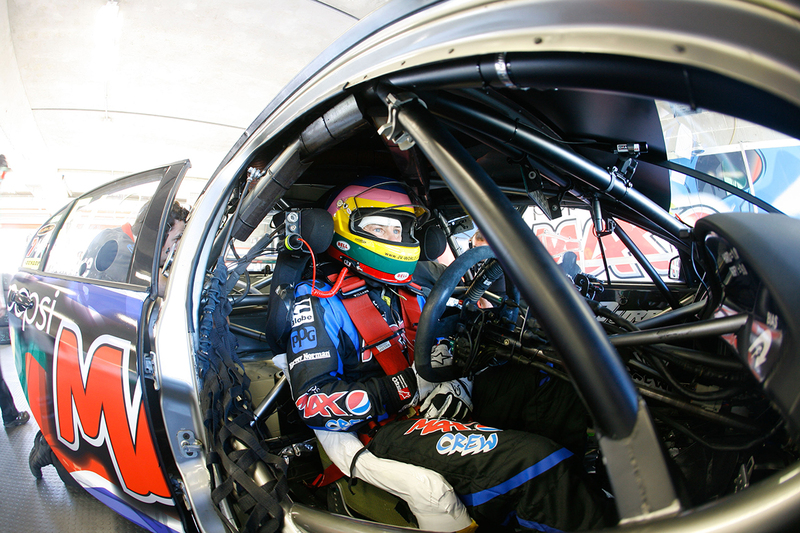 There was a very different name and face on the Reid Park grid when Supercars visited Townsville in 2012 – that of 1997 Formula 1 world champion Jacques Villeneuve. 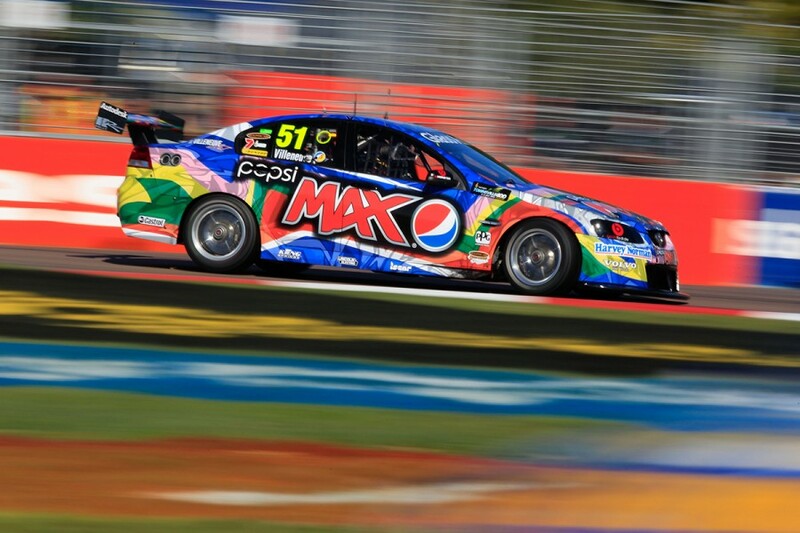 The Canadian raced a Pepsi Max Commodore for Kelly Racing, subbing in the #51 Holden while Greg Murphy was sidelined by a back injury sustained in that year’s Adelaide season opener. Townsville was the first of three events Villeneuve contested with the team, that outing followed by the Queensland Raceway and Sydney Motorsport Park races. While it was a largely-unhappy spell, with a best grid position of 27th and race finish of 24th, it certainly added some international flavour to the trip north. Nomadic is probably the best word to describe Villeneuve’s racing career since splitting with BMW-Sauber F1, dropped in mid-2006 for Robert Kubica. His attention has turned to NASCAR (including with Penske in the second-tier), Le Mans with Peugeot, a return to the Indy 500 he won in 1995, Formula E, Rallycross and more for stints of varying lengths. Supercars’ Gold Coast event in 2010 was a perfect introduction to tin-tops in Australia for Villeneuve, with each team fielding an international driver. Villeneuve was arguably the highest-profile recruit, teaming up with Paul Dumbrell in an FPR-run Bottle-O Falcon to finish fifth in the Sunday race. His next dabble, nearly two years later, would be far less fruitful despite early optimism. “It’s not every day a decorated driver of Jacques’ calibre walks through your doors,” team owner and driver Rick Kelly said at the time, announcing Villeneuve’s Townsville drive. “His achievements at the highest possible levels of global motorsport are huge. 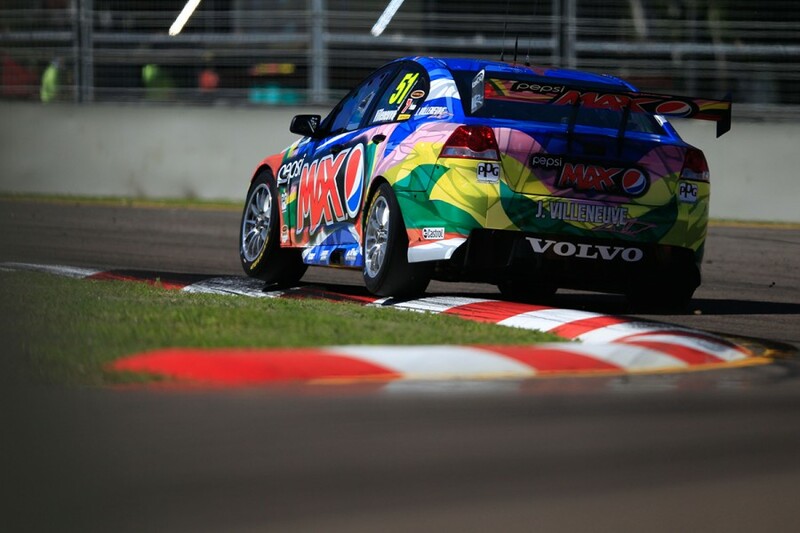 “JV’s upcoming drive with us is a win for everyone; all our staff, the sport, the V8 Supercars fan base in far North Queensland, and of course PepsiCo who have had a tough year with Greg’s unfortunate back injuries disrupting their marketing programs. In keeping with the rotating graffiti-spec Pepsi Max liveries of the time, Villeneuve’s personalised scheme took hues from his vibrant helmet design. “V8 Supercars is a spectacular race series and I had a great experience on the Gold Coast back in October 2010,” Villeneuve, 41 at the time, said. “I have checked out the whole Pepsi Max Crew Graffiti concept and it looks wild. “Like all drivers, though, I am planning to first and foremost be competitive in the car as quickly as possible. 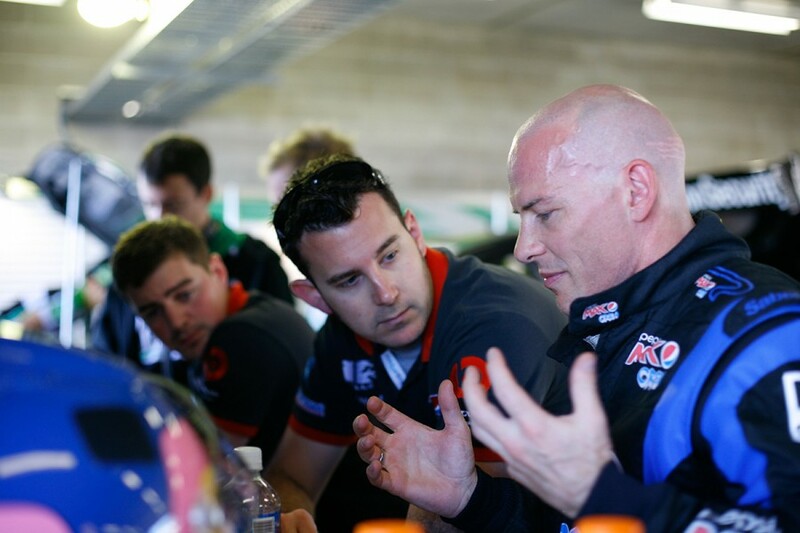 Thrown into the deep end without a test day, Villeneuve was last and 3.6813 seconds off the pace set by Kelly in first practice, for co-drivers and full-timers in the bottom half of the championship. He was a full second closer in the next session but still at the bottom, and got within 2.2s of top spot in Practice 3 – the first full session – despite crashing at Turn 3 in the closing stages. “It was a tough day,” Villenueve said after Friday’s four sessions. “There’s a lot to learn with the track, the car, using my left-hand to shift, working on the seat, just a lot going on. 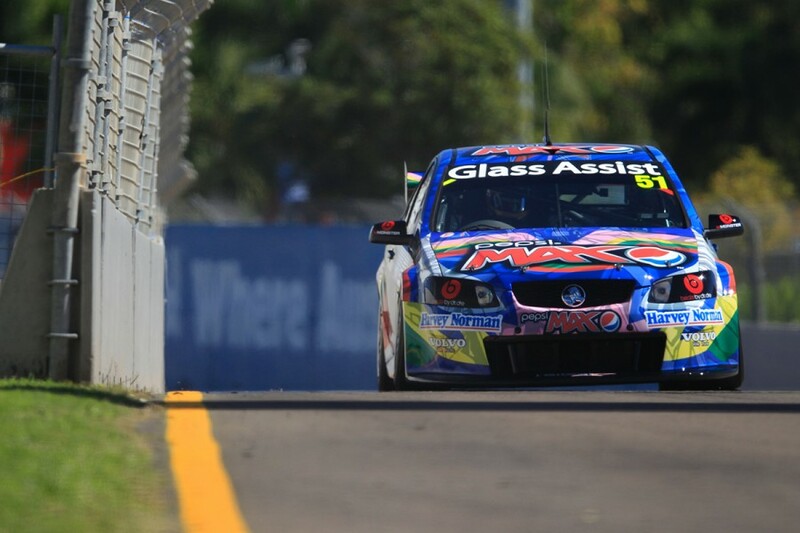 Villeneuve classed the 2.86km street circuit, hosting the Watpac Townsville 400 on July 6-8, as “very busy”. During the weekend, Villeneuve ditched his new Pepsi racesuit for a plain white variant, but a baggier fit that kept with his renowned career-long preference. He started both races last – getting within 2s of the pace for the first time in qualifying on Sunday – and retired early on Saturday with an engine problem. The Commodore made it home on Sunday, with Villeneuve 24th and one lap down, the third last of the classified runners. Having left Townsville and Australia unsure if he would be back in the Commodore, Villeneuve was ultimately given the seat for the next two events. "I am thankful to Pepsi Max Crew for another chance to jump in the car and with more seat time should make further inroads on the field," said Villeneuve. "These are difficult cars to drive and there is terrific talent in this category so [I] was realistic about my chances in Townsville not even testing the car. "On reflection I was pleased with the progress we made as a team through that weekend and comfortable with the knowledge that we can move forward in Ipswich and Sydney." An engine problem for David Wall’s Brad Jones Racing Commodore in Saturday qualifying at Queensland Raceway meant Villeneuve at least avoided starting all six of his races last. He finished 24th in both races that weekend and in the Sydney Motorsport Park opener, on the lead lap in the latter, then 26th in his final outing. Murphy, having missed five events – David Russell stood in for the other two – then returned for the enduros before retiring from full-time competition at the season's end.